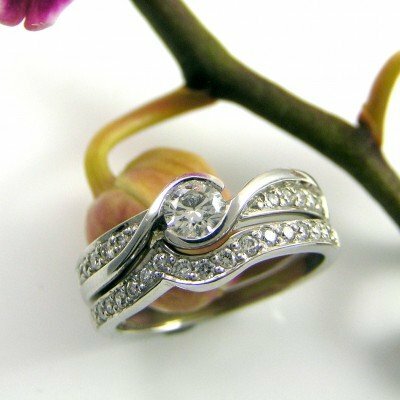 The home of unique and truly beautiful jewellery since 1980.Rivers Jewellers is a proudly independent jewellery store, with two permanent onsite jewellers. 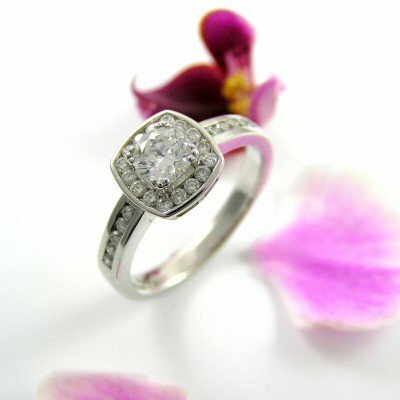 Whether you’re after a hand crafted bespoke engagement ring or if you just require some information, rest assured when you arrive at Rivers Jewellers, you can always speak with your friendly local jeweller to get the right advice for your specific needs! All jewellery repairs are done in our onsite workshop by our fully qualified jewellers. Jewellers who have a combined 75 years! So for jewellery repairs or bespoke jewellery creations… come into Rivers Jewellers. At Rivers Jewellers we also offer a wide variety of sophisticated jewellery collections from around the globe. We are proud to offer you individual collections that are far from main stream. 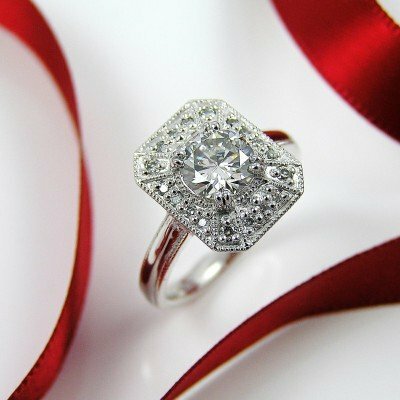 So for that perfect gift or to treat yourself… visit Rivers Jewellers. What are you waiting for? We look forward to seeing you very soon! Custom made in our refreshingly chilled Brisbane workshop ❄❄❄ We went with a simple wave-like feel for this ring. We have well proportioned bars separating the stones and flowing around the ring. 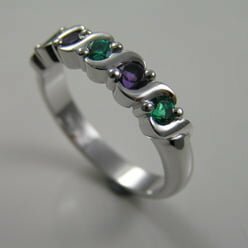 This design could also be done a full circle where the stones continue completely around the band. Do you prefer more vibrant colours or the white sparkle of diamonds?